HOWEVER!!! 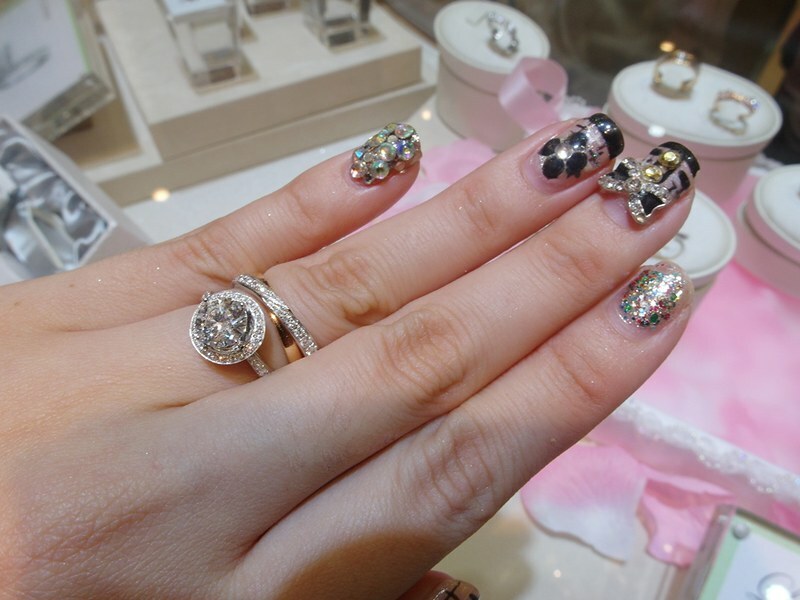 I was interested in the Solitaire ring aka Engagement ring!! Hehe tell me which girl doesn't like diamonds!!?! My eyes were immediately drawn to this particular ring cuz its somehow 'the kind' of design I like! Which was sadly not my size :( So i could only wear it on my pinky finger! these are the kinds I like! Especially the squared types one and in particular.... the left one!! *SCREAMS* ROSE GOLD! So pretty isn't it??? 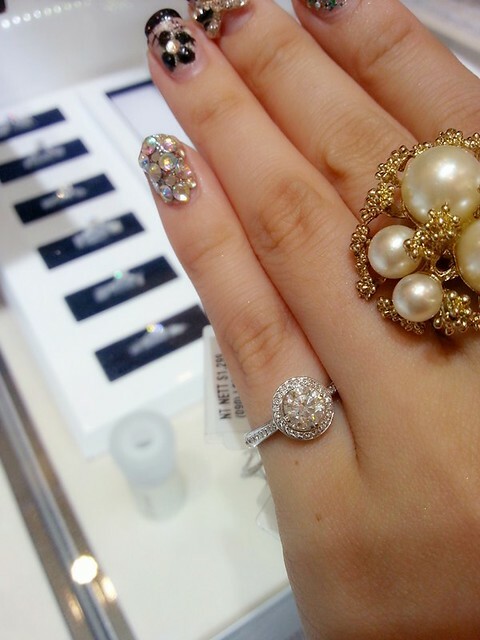 Love & Co. do not carry the squared kind of Solitaire rings so over here, I chose the rounded ones! Also, they could customise for you (like change the white gold to rose gold) for only an additional $40!!! SO WORTH IT YES?!!?!??! 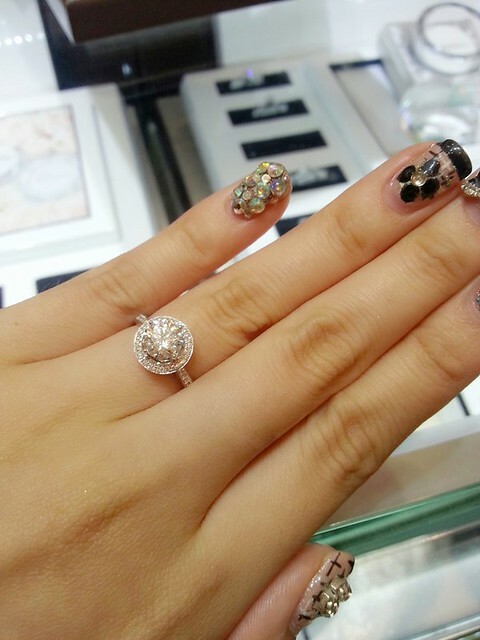 Size: 1.1 Carat Price: approx $23,000 *pukes rainbow* lol OMG SO EX!!!!! 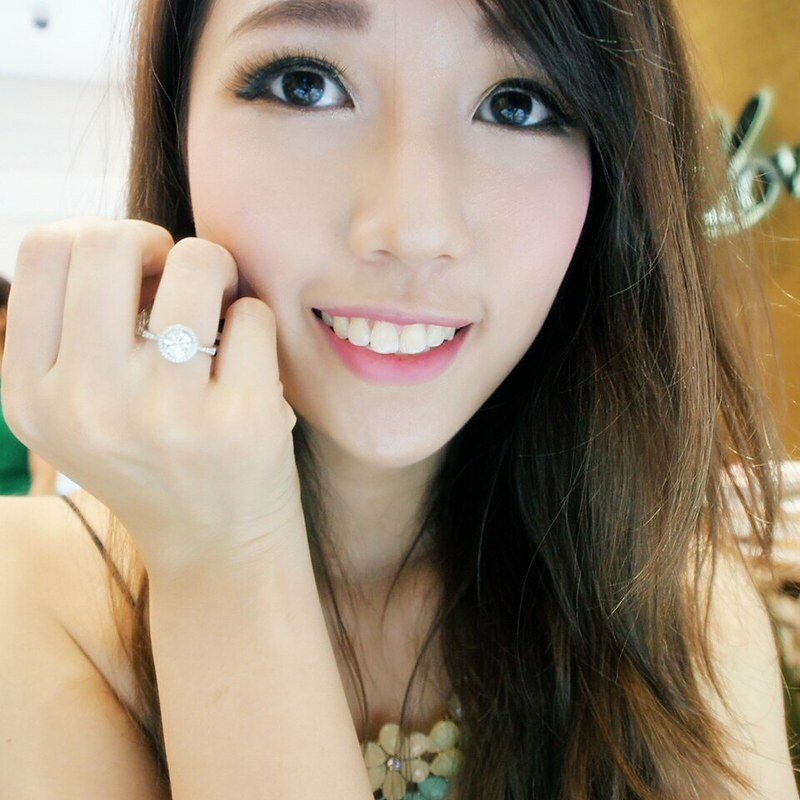 But ok la understandable since it's 1.1 carat!! 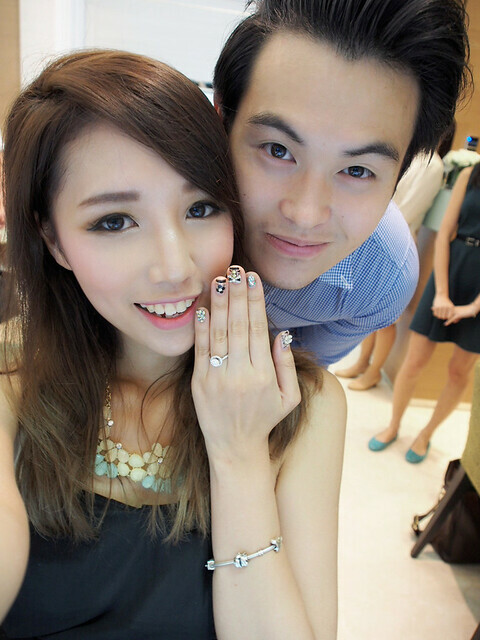 Saw the same design in 0.6 carat which actually... looks MUCH NICER than this 1.1 carat size. I guess afterall.. the bigger doesn't mean the better. The ring has got to suit your finger :) The Love & Co's staff and I both felt that the 0.6 carat one suited me better than this 1.1 carat! And 0.6 carat costs approx $7500! So much cheaper uh!! "Nothing is as sacred and divine as a rose in a diamond. Encapsulating the eternal beauty of a rose, the LVC Lovemark diamond bears a perfect rose in the heart of every piece. Using highly advanced proprietary technology, the inscription is completely invisible to the naked eye and can only be seen with a special viewer. 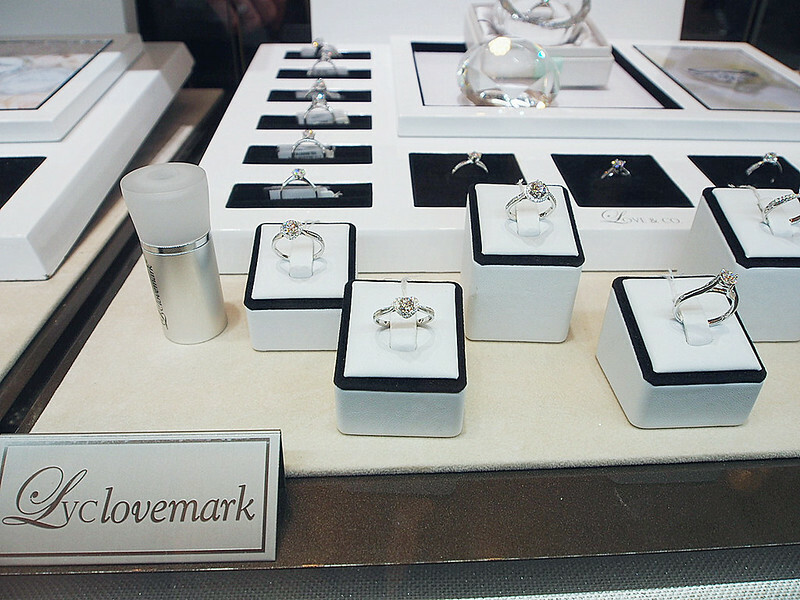 First in the world, the LVC Lovemark diamond is the most exclusive and meaningful diamond one can ever find." Really gotta say I was quite impressed with this when the guy showed us the 'Rose within the Diamond' using the special viewer! The details damn intricate please!! And.... this was the picture I uploaded on Instagram x FB x Twitter and kinda got everyone fooled!! HAHAHHA Thought it would be quite interesting to post this picture and captioned it "And.... I said YES!!!! Lai... calling for all my 姐妹s!!!" but I honestly, didn't think that so many people fell for it I mean cuz before posting this picture... 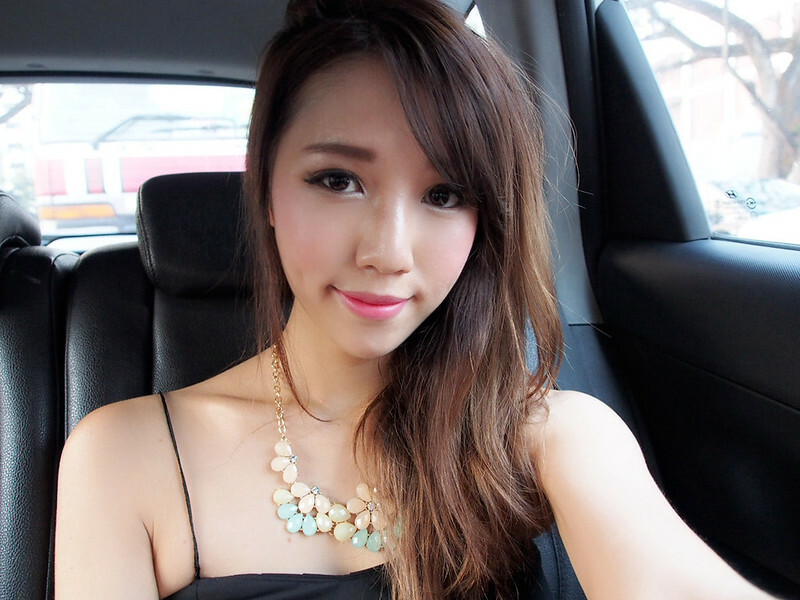 I already posted another selfie mentioning that I was on the way to Love & Co event! So I really thought.......... well my bad. But yknow, very touched that I actually received so many, so many wishes!! Thank you for all the comments/messages/calls... hehehe. Really didn't expect it but people whom I never expected to congratulate me at all, actually text me which really.. made me felt so loved?!?! 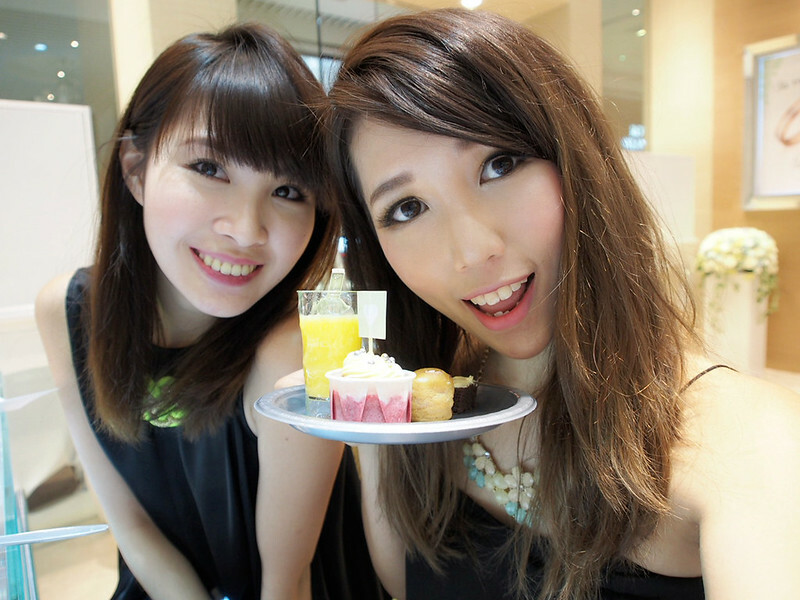 And to my dearest "姐妹 Jiemeis" to be... I know you girls too eager la!! Sorry to make you girls cry especially Stef, Vanida and Jas!! So touched that you girls cried for me out of joy.. omg I feel like whacking myself for being so bad :( And omg a gf was so funny too we were texting and she told me when she saw my picture, she JUMPED off her chair and thought to herself "SHENNY 终于嫁出去了!!!" (Shenny finally marrying out!). Hahah I got so bad meh!!!! 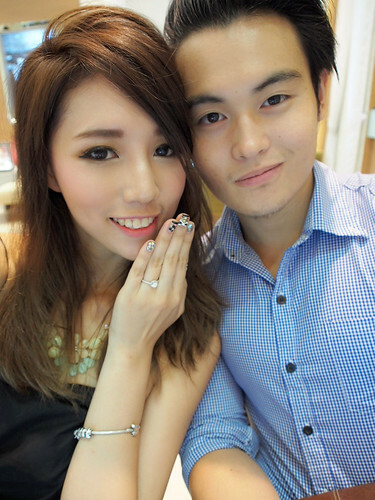 Frans and I camwhoring with our dream ring! Sorry for taking so many pics!! The rose gold bow is kinda cute, although not my kind heh! Not too bad... although again, the wedding band is not 'my kind' of ring. Opps!!! Greedy us!!! 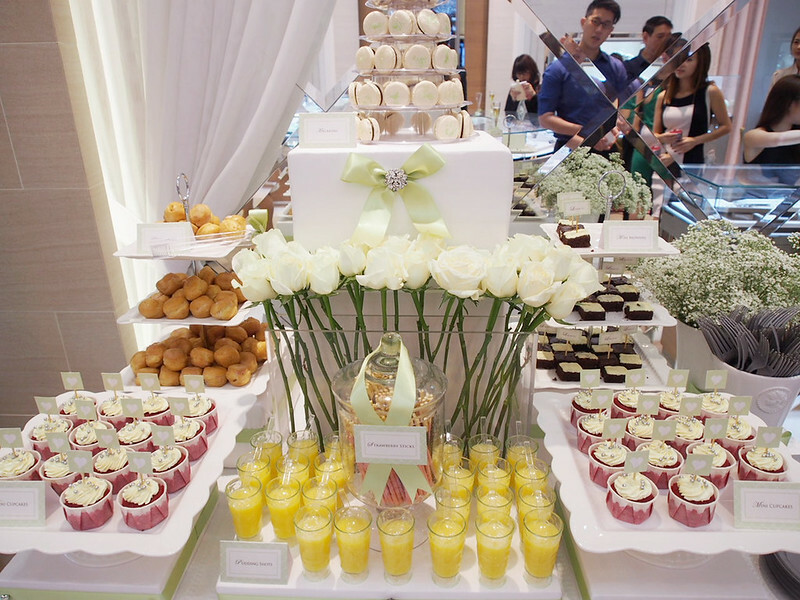 All the desserts were soooooooooooooooo good. Not even kidding! And picture with my lovely blogger friends - Frans and Jamie! ABOUT LOVE & CO. Love & Co. is a premier jeweller with international standing that heralds a unique brand concept. 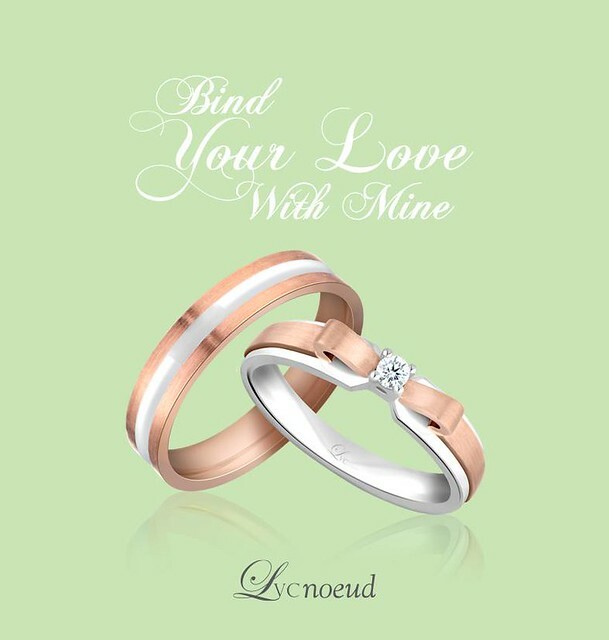 The specialist in couple bands, diamond solitaires and love jewellery, Love & Co. brings the romantic experience of love to the modern jewellery store. 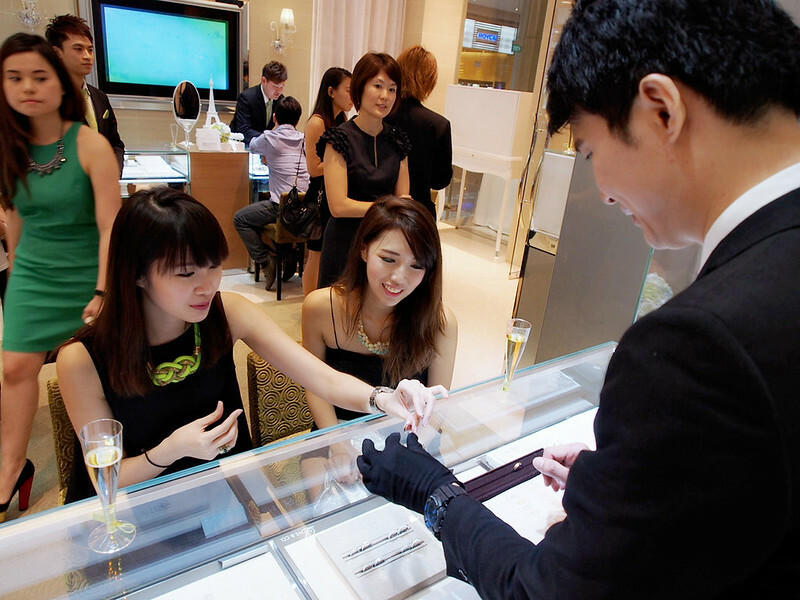 For many centuries, the jeweller has played a part in many love stories. Let Love & Co. witness your love journey, from the day you exchange promises of love to the many anniversaries ever after. Manhattan for dinner with J! Yummy!! Super good deal!! Only $31 (including GST!) 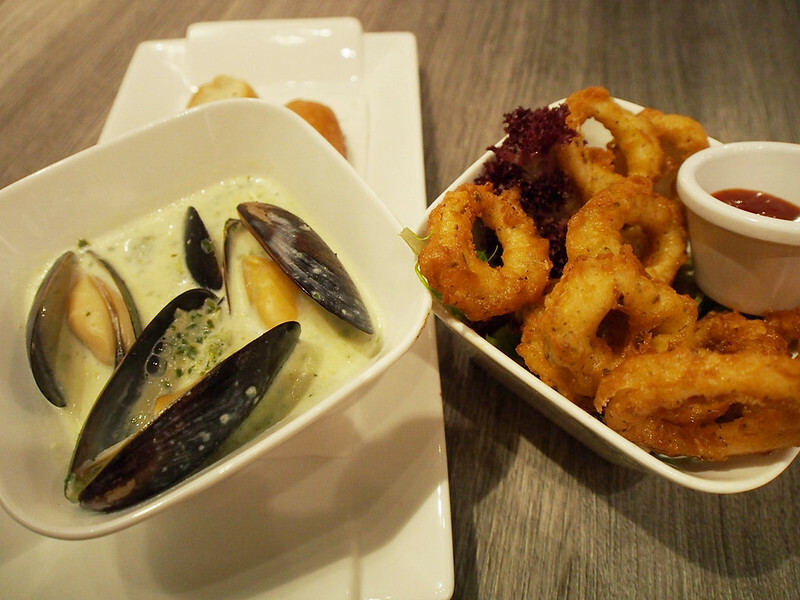 for 2 mains + 2 side dishes! Not sure if its only applicable to the one at Marina Square or all outlets but yeap!! 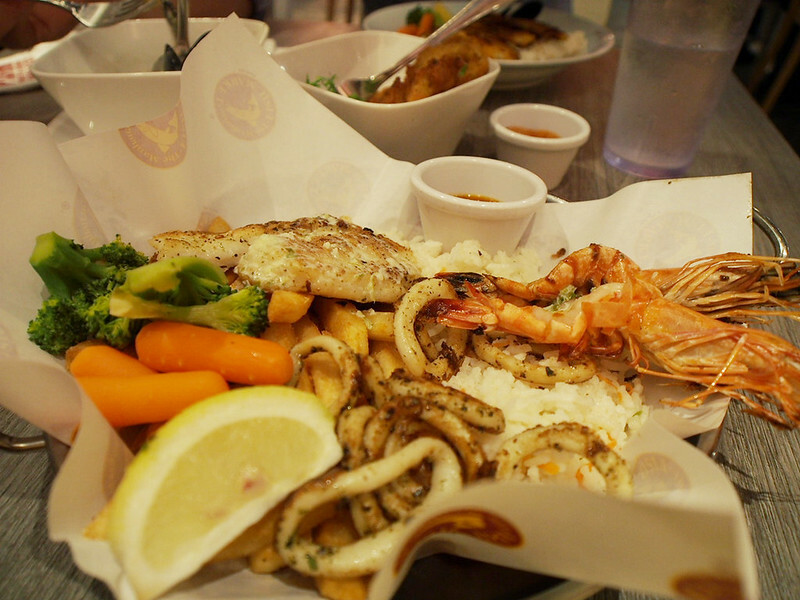 Keep a look out for it cuz its so worth it :) Super love the small flame sauce pleaseee! Alright guys, that's it!! Thank you for reading!! Time now is 6.54am... gonna turn in. Hahaha Wanted to make sure this post is up before I sleep so people could read it and know that... I AM NOT ENAGAED LA AIYO 伤脑筋啊!!! !